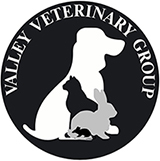 Valley Veterinary Group was established in Kilmarnock over a decade ago. We have branches in Kilmarnock and Stewarton. All our branches provide exceptional customer service and the very best in veterinary medicine for small animals. Our friendly, professional veterinarians and vet nurses are available to offer lifelong healthcare advice and support for all the animals in our care.